This document was produced as a result of a group of passionate people believing in the benefit of setting up an Access Institute in Australia. They consulted widely and held two symposia, one in Sydney and one in Melbourne. The document sought further comment, particularly from people with disability. For various reasons, the project ended at this point and no further action was taken. However, soon afterwards a small group, led by Dr Max Murray, started the Association of Consultants in Access, Australia (ACAA). Centre for Universal Design Australia has picked up the threads to follow through on the aim of having a central point for creating an inclusive Australia. 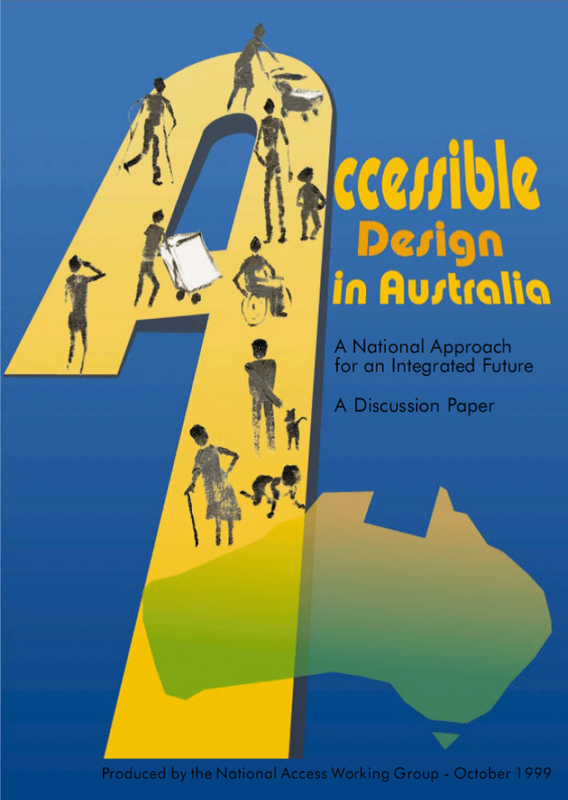 Download the 1999 discussion paper in PDF: Accessible Design in Australia: A national approach for an integrated future.